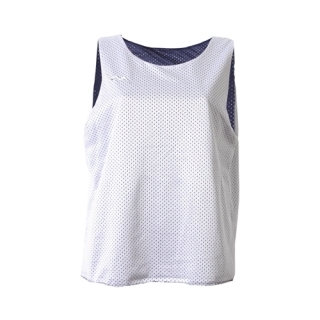 Tricot Eyelet Mesh, Tank Top, Sleeveless, Reversible Jersey, 100% Lit Fit Polyester. Light Weight Lightning Fast. Size Youth Small - Youth XL and Womens S-WXXL. Several Styles and many colors to Choose From. NOTE: Many of our Womens teams prefer the Mens Plain pinnie due to the looser fit. The Womens Style Plain pinnie is more form fitting. For sizing, please select based off of your normal t-shirt size. Womens Lacrosse Pinnies.